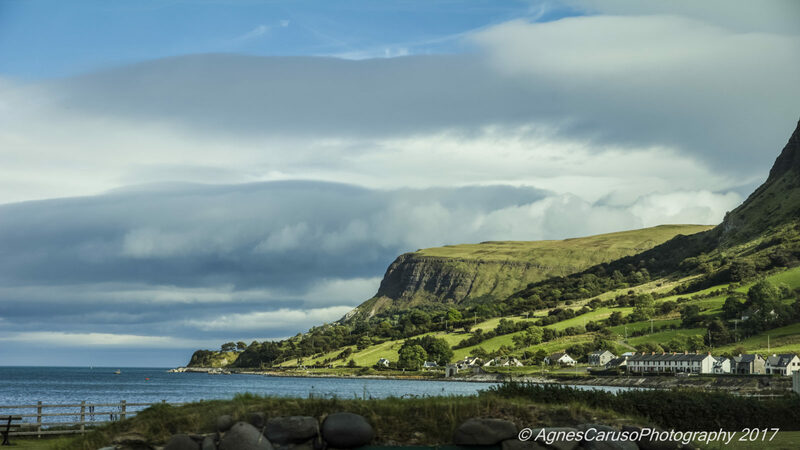 Driving along the Antrim Coast towards Belfast was an amazing experience with sunshine and clouds mixing all the time. The light appeared in patches on the hills of the coast. It was pretty windy despite the calm appearance.